Thank you for your prompt service and the excellent job you did cleaning my rugs. I also thank you for being so good with your communication. You know customer service and it is appreciated. Would recommend your service with no reservations! Taunya the district manager wanted me to pass along how happy she is with the carpets. She said they look amazing and you put our old carpet cleaners to shame. "I have used Steve for at least eight years. He is extremely reliable, hard working, and dedicated to doing the best he can with a dirty carpet. My carpets always look great after his visit. I highly recommend him.."
"Being a 24 hour operation, the floors at the ambulance service see a lot of traffic and take on a lot of dirt and grime. 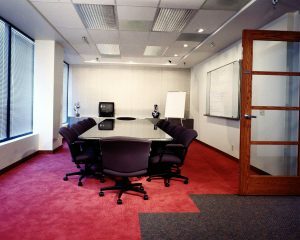 Steve does an excellent job keeping the carpets clean, lending to a healthy, professional work environment." "Steve has been cleaning the carpets in our bank office for the past year and we are extremely pleased with both the quality of his service and his pricing structure. He takes a personal interest in all his jobs and customer satisfaction is his number one priority. We will continue to use him for all our carpet cleaning needs." "I tested Steve on college student apartments at move out time and his work passed. His high level of expertise made me absolutely comfortable coming to our home and doing carpet and also furniture. I appreciate his level of skill and knowledge of his cleaning products to tackle a problem and be able to remedy the situation." "We have used Fresh & Clean to clean our apartment carpets for many years. They are prompt, reasonable and do a great job each and every time. We would never call anyone else." "After using Fresh & Clean, I can walk in to a property and actually tell that the carpets have been cleaned and they look great.. This was not the case with past cleaners." I have had our rental apartment carpet cleaned 5 times in the last seven years by other carpet cleaners. I tried Fresh & Clean Carpet King for the first time yesterday. Steve at Fresh & Clean is the best by far. The carpet has never looked cleaner! The freshest smelling, softest feeling, cleanest clean you’ve ever seen! Since 2002 Fresh & Clean Carpet King has been impressing customers while cleaning the carpets and upholstery in thousands of homes and businesses in Iowa City, Iowa and surrounding areas, but the one we’re most excited about cleaning is the one we’re doing today. Your home could be that one. Know what you want? Great. We are here to listen and serve. Not sure what to expect? That’s where our consultative approach and vast experience shines. We are here to answer questions and explain our process before we begin. Call today to schedule your appointment and free estimate. We can’t wait to hear from you! Why Fresh & Clean Carpet King, when there are so many choices out there? One question I have always been asked in job interviews is, “why should we pick you over other applicants? It’s a fair question. There is a good number of carpet cleaning companies to choose from in the Iowa City and Cedar Rapids areas. So, why us? I have been cleaning carpets since 2002 and during that time I have learned quite a bit about carpet cleaning, upholstery cleaning and running a small business. One thing I pride myself on is not just satisfying my customers, but delighting them. A delighted customer is most likely to share their experience with their friends and family, which will lead to a better reputation within the community. Another way we work to insure your approval is by leaving air movers, when available, to help with circulation. 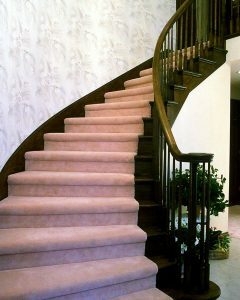 Getting the carpets dry quickly leads to an overall, superior, finished product. There are many variables that exist, which will affect drying time. The amount of humidity in the air and the type of carpet are a couple of the variables that we cannot control. But leaving fans to increase airflow is one thing we can do to help drying. Taking a pro-active approach to drying carpets and returning the following day to pick up the fans is an added value that only Fresh & Clean Carpet King provides. We want your carpet and upholstery cleaning experience to be a positive one. You are my best advertiser. So it only makes sense to give you the tools and information you need to make an informed choice. We are happy to answer any questions you have about the carpet cleaning process. Just pick up the phone (319-665-9353) or drop us an email and let us know how we can help.